If a pipe bursts in the middle of the night, a storm floods your basement on a weekend, or a sewer main backs up on a holiday and begins damaging your home, who can you call on? Carolina Water Damage Restoration is here for Wake Forest’s emergency water damage remediation needs. Someone from our staff is on call 24 hours a day, 7 days a week. No matter when water damage emergency strikes, call us to help! Storms have a way of happening throughout the year in Eastern and Central NC. Wake Forest is no exception to extreme thunderstorms causing storm damage to homes and businesses. If a large storm has caused water damage in your home or business, rest assured that Carolina Water Damage Restoration is on call 365 days a year, 24 hours a day to handle of your storm damage repair & water damage restoration needs. Selling your Wake Forest home? If so you may be required to get a home mold inspection or water damage inspection. If the inspection turns up a need for mold remediation or water damage in your crawlspace or basement, Carolina Water Damage Restoration can help you get your home into the shape it needs to be in to be sold. If you are buying a home, we can make sure it’s in good condition to buy. In NC, around the Raleigh area, we rarely get directly hit by hurricanes. In fact, the majority of the damage from a hurricane in areas like Wake Forest NC, is due to flooding and water damage. Of course, there are many other causes for water damage, besides severe storms. At Carolina Water Damage we’re around 24 hours a day and 7 days a week (year round, even on major holidays) so we can respond to your water damage emergency at any point that you need us. Mold issues can not only cause damage to your property, but they can also be a hazard to your health and the health of your family. If you suspect that you might have a mold problem in your home it’s best to call an professional mold remediation company rather than trying to do it yourself. 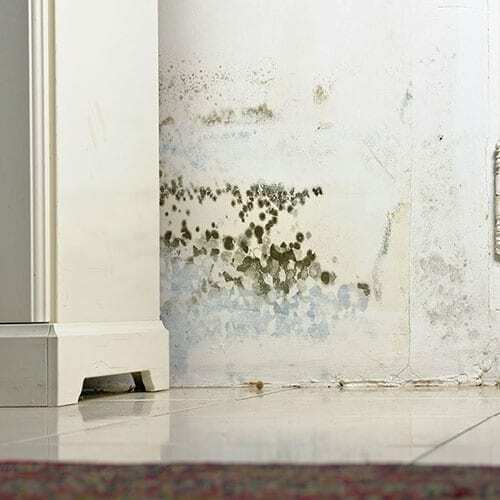 At Carolina Water Damage Restoration, we don’t just remove mold and repair mold damage, we remedy the problem altogether. This is known as Mold Remediation. We want to make sure that your home is protected, the source of the mold is fixed, and that your home is containing only healthy particulates at natural levels. We can even implement a HEPA filtration system if the need arises, to make sure that the air quality in your home remains high. 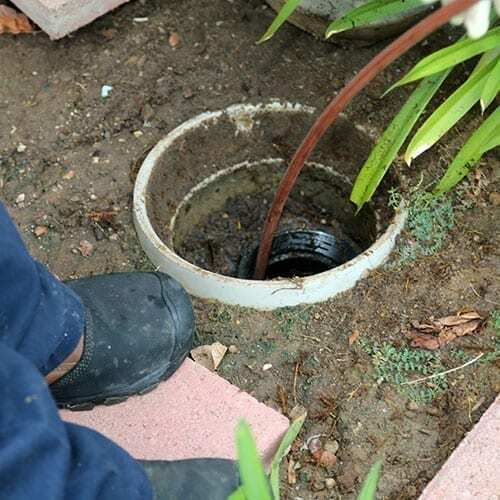 Sewage backups can cause a nightmare for you and your family, they are hard to clean up and can make your home hard to stay in. Sewers can back up because of storms or a number of other reasons, and we want to make sure that you and your family are comfortable sleeping in your home. Carolina Water Damage Restoration in Wake Forest, NC is always ready to go. We’re open 365 days a year, 24 hours a day. We will come to your home in Wake Forest, find the source of the problem, stop the issue, and make sure that things are cleaned up. Carolina Water Damage Restoration takes pride in sanitizing any materials or items touched by sewage with hospital grade chemicals that are all natural. If there’s any damage that has been caused, we’ll repair the damage and make sure that your home is restored to it’s original condition. There’s no need to hire multiple people for multiple jobs because we take care of the sewage backup cleaning process from start to finish. Carolina Water Damage Restoration is your IICRC mold and water damage restoration company, covering everything your home needs from top to bottom. 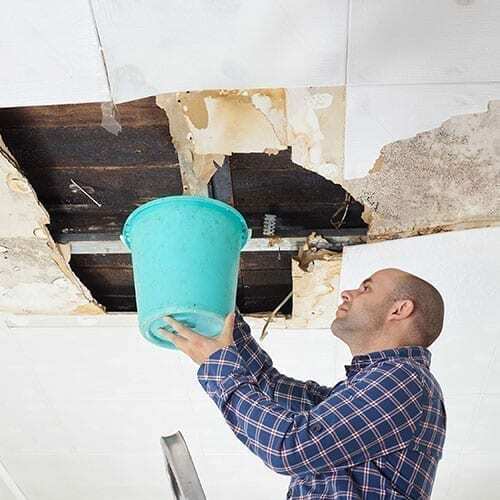 With roof, attic, and ceiling restoration services, crawlspace water damage cleanup and repair, and home inspection services, Carolina Water Damage Restoration is your source for any water damage need in Wake Forest NC. 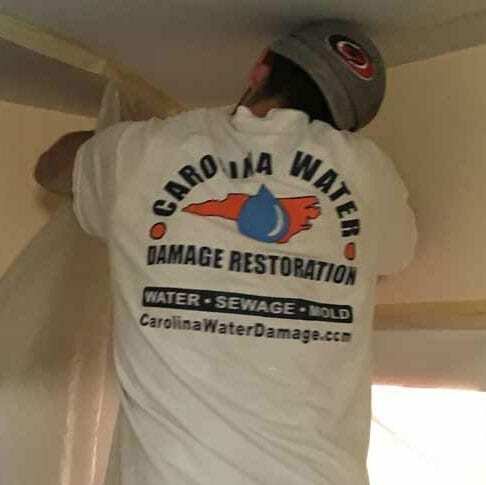 Whether you are selling a home or require our restoration services after any water damage event, give Carolina Water Damage Restoration a call, 24 hours a day. When Storm damage strikes resulting in basement flooding or other damage, contact the IICRC specialists at Carolina Water Damage Restoration. 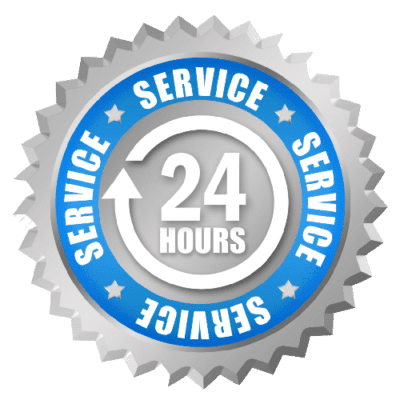 We are available 24 hours a day to handle all your storm damage services, emergency storm damage repair,emergency storm damage restoration, and have the best emergency flood water damage restoration in Wake Forest NC for basements and other areas of your home. Commercial Properties and businesses in Wake Forest are no stranger to inclement weather and other storms. This weather, and a number of other issues, have the potential to lead to your property suffering from commercial water damage. 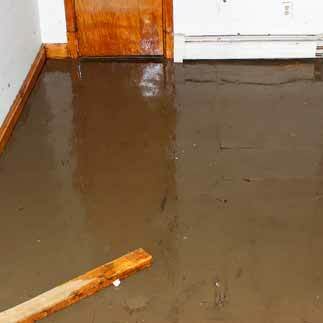 If you have noticed water damage, contact the experts at Carolina Water Damage Restoration in Wake Forest, NC. 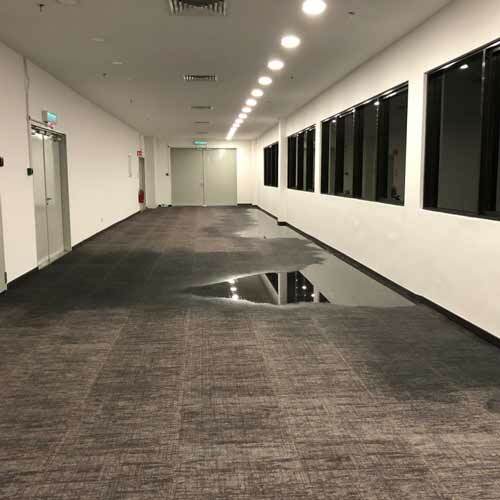 Our commercial water damage restoration technicians are on call 24/7 so we can quickly respond to any water damage emergencies and get your office functioning at full efficiency as quickly as possible. If you live in Wake Forest and own a home or business with appliances, you are probably aware that they can leak or break causing water damage issues. 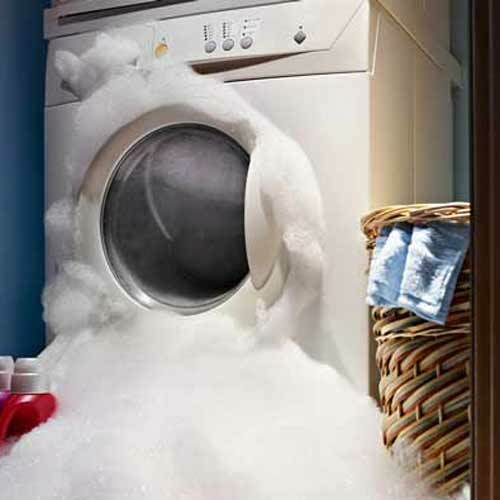 Appliances leaks or overflows can happen because of user error or normal wear and tear. These leaks or breaks can be sudden or happen over the course of time. If they are sudden, you can easily call a water damage restoration team to make sure the water damage is mitigated, however, if they happen slowly, you may not notice an issue until the damage is already severe. That’s why at the first sign of water damage from an appliance, to your home or business in Wake Forest, you should call a water damage restoration expert like Carolina Water Damage Restoration. Why Choose Carolina Water Damage Restoration If You Live In Wake Forest NC? If you live in Wake Forest and own a home or business, you may have first hand experience dealing with water damage. The damage can also have a number of different causes, such as sewage backups, floods, or storms. If left unchecked, the initial damage may lead to worse issues, such as damage to your home’s foundation or toxic mold growth. Having a water damage contractor who is on call 24/7 is a good thing. Carolina Water Damage Restoration is IICRC certified and is open 24/7 – 365 days a year in case you have a water damage emergency. We are based in the Triangle and serve Raleigh, Apex, Cary, Chapel Hill, Clayton, Durham, Fuquay-Varina, Garner, Holly Springs, Knightdale, Lillington, Morrisville, Wake Forest, Wendell, Zebulon, & the surrounding areas of NC.